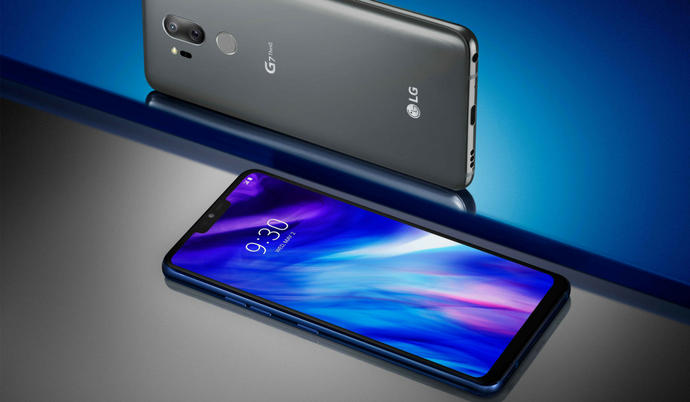 After unveiling the LG G7 ThinQ smartphone in May this year, the company now launched it in the Indian market. Unlike in the Western markets, only the LG G7+ ThinQ variant with more RAM and storage will be available in India. It comes with glass sandwich design sporting a metal frame in the middle and Corning Gorilla Glass 5 protection on the top. The device is IP68 certified for water and dust resistance and is also MIL-STD 810G certified for its durability. While the power button is placed on the right edge, the volume rocker along with a dedicated Google Assistant button are on the left edge. It comes with a 6.1-inch FullVision Super Bright IPS display on the front with Quad HD+ (3120 x 1440 pixels) resolution and 19.5:9 aspect ratio. The LG G7+ ThinQ is also the company’s first smartphone to sport a notch on the top. Under the hood is the 10nm Qualcomm Snapdragon 845 Mobile Platform coupled with Adreno 630 GPU. It packs 6GB of LPDDR4x RAM and 128GB of UFS 2.1 storage that can be further expandable up to 2TB using the MicroSD card slot. Coming to the cameras, there are AI dual cameras on the rear featuring 16MP primary sensor with f/1.6 aperture & 71-degree wide-angle lens, and a 16MP secondary sensor with f/1.9 aperture and 107-degree super wide-angle lens. For selfies, there is an 8MP front-facing camera with f/1.9 aperture and 80-degree wide-angle lens. The LG G7+ ThinQ is backed by a 3,000mAh non-removable battery and supports Quick Charge 3.0 fast charging technology and wireless charging. It can be unlocked using the facial recognition technology and rear-facing fingerprint sensor. Connectivity options include 4G VoLTE, Wi-Fi (2.4GHz & 5GHz), Bluetooth 5.0, GPS, NFC, 3.5mm audio jack, and a USB Type-C port. It measures 153.2 x 71.9 x 7.9 mm and weighs 162 grams. The device also sports 32-bit Quad DAC for Hi-Fi audio output. With all the flagship specifications and superior build quality, the LG G7+ ThinQ is priced very aggressively at Rs 39,990. It will be sold exclusively through Flipkart starting August 10th. Stay tuned on PhoneRadar for more details! The post LG G7+ ThinQ with Quad HD+ Display & Snapdragon 845 Launched in India for Rs 39,990 appeared first on PhoneRadar.